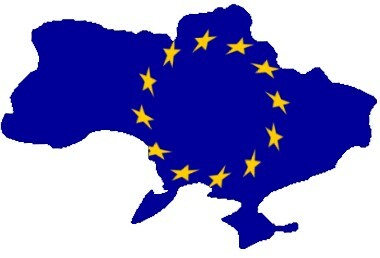 “Ukraine Enlargement Plea Falls on Deaf Ears,” by Andrew Rettman, EU Observer, 27 October 2006, http://euobserver.com/9/22755. As Congressional Republicans threaten the future of our Continental Union by building an insane fence against Mexico, and Congressional Republicans threaten the future of our relationship with Vietnam by holding up Normal Trade Relations with Hanoi, it’s depressing to note that know-nothingism is alive and well in Europe, too. Ukraine president Viktor Yushchenko continued to hammer on enlargement as the EU-Ukraine meeting in Helsinki drew to a close on Friday (27 October) afternoon, but got zero political commitment in return. But European Commission president Jose Manuel Barroso gave a blunt response to the president’s call, saying “Ukraine is not ready, and we are not ready [for discussions on enlargement],” AP reports. Meanwhile, Britain restricts European immigration. Just great, guys. The future of globalization is not threatened by “global guerrillas” or other imaginary enemies. Only by moral weakness. I agree with you on how moral weakness becomes grand strategic weakness, but I disagree with you. Moral weakness does not enable Global Guerrillas. Nothing enables Global Guerrillas. Because Global Guerrillas do not exist. Moral weakness does not allow Global Guerrillas to win. Because they have never won anything. To the extent that Robb's theory are internally coherent, which admittedly is limited, GGs are not just another name for a non-state actor, they are not just some group that uses “open source warfare.” They are a non-state force that attempts to attain victory by depriving states of capital. I want to end this comment with something snarky, like “global guerrillas are as much a threat as space aliens.” But that wouldn't be fair. If aliens actually did exist, presumably they could use death rays or whatever to win. If Global Guerrillas actually existed, they would just lose. That's why Robb has failed at creating any. I think something like the GG concept could be applied in state-vs-state warfare part of a multi-approach. Think China and that books' UW approach. Light Infantry-ish GG unleashed in your enemies rear could cause mischief and distract opposition decision makers. This is different then Robb's idea though. This is the first stuff I have typed since going to Firefox 2.0. There is a built in spell checker! Woo-hoo!